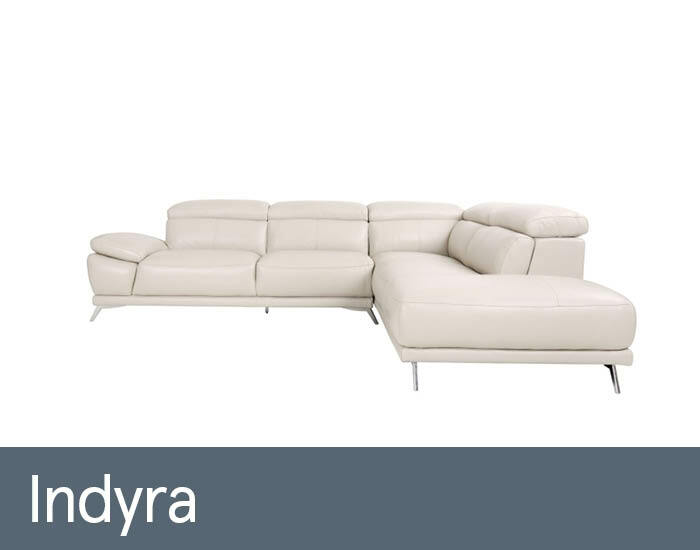 Indyra’s clean lines, precise tailoring and innovative comfort functionality will make a stylish statement in any modern living space. Upholstered in luxurious leather with quality fully sprung seating and ratchet adjustable head support your comfort is assured. Its sleek, splayed polished chrome legs introduce an air of sophistication.